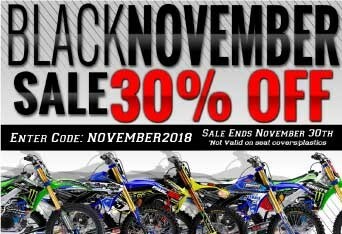 Enter Code: NOVEMBER2018 at Checkout in the Coupon Code Field to recieve 30% off your order. Make sure you type it in ALL CAPS. Offer ends next Friday (11/30/118) at the end of the month so make sure you get your orders in before then! Code works for everything on our website excpet for Plastics and Seat Covers.